The macroeconomic profile of Ukraine remains "very weak". Ukraine's economy will grow by 2.5 per cent in 2017-2018, says the international rating agency Moody's outlook released on Wednesday, 30 August. Moody's considers Ukraine's macroeconomic profile to be "very weak". According to the agency, Ukraine's GDP growth in 2017-2018 will be moderate at 2.5 per cent. "Moody's expects a slow growth rebound in 2016 and 2017, after a cumulative real GDP fall of roughly 15 per cent in the last two years. In addition, the fiscal deficit is likely to remain within the budget target of 3.7 per cent as required under the IMF programme because of reforms to the tax regime and the recent reduction of gas subsidies," the report says. "That said, maintaining international financial support and continuing the incipient economic and fiscal recovery would require further progress on economic and political reforms, including on anti-corruption measures." 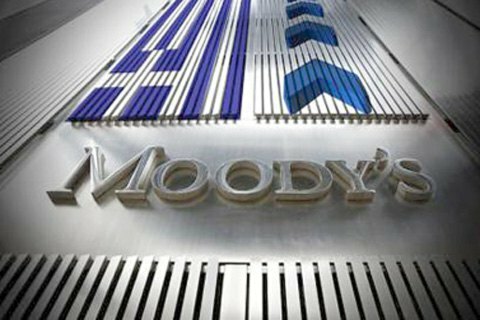 On 26 August, Moody's Investors Service for the first time in almost two years improved the sovereign rating of Ukraine, raising it a notch from Caa3 to Caa2. The outlook was changed from stable to positive.